Tuesday 23rd April 10am in the John Fryth Room. Monday 6th May from 8.00am. 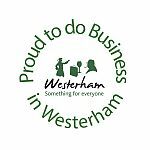 The Westerham Society and Westerham Town Partnership are delighted to welcome families, groups, friends and visitors to join the residents of Westerham in checking our boundaries are still in place! Do Big Cats Roam Kent? Friday 17th May 7 for 7.30pm in Westerham Hall. ‘Do Big Cats Roam Kent?’ Last ever public Big Cat talk from author and researcher Neil Arnold. Everyone has heard the stories, some have witnessed animals they cannot identify. Come along and hear Neil explain why! Saturday 18th May 11am from Westerham Green. Fighting Dementia Together! Westerham Town Council is organising a second Memory Walk: last year over 150 people joined the walk.